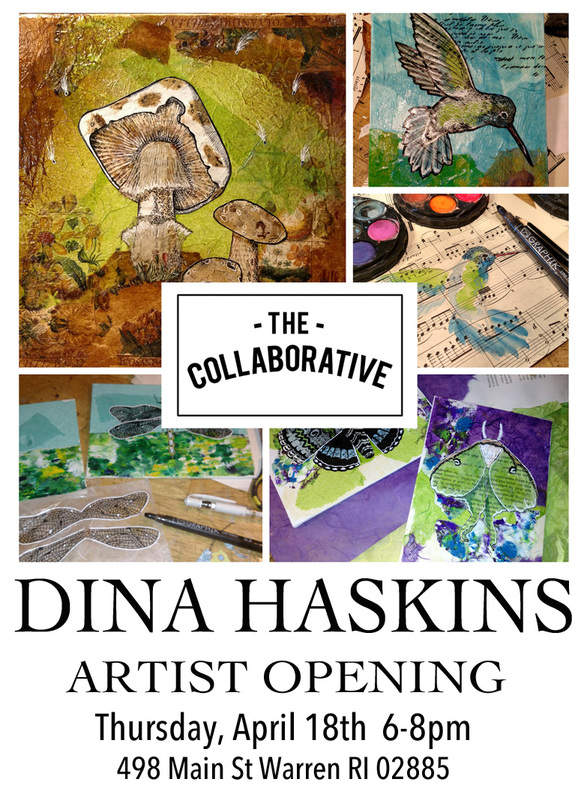 Join us in celebrating the work of artist Dina Haskins on Thursday April 18th from 6-8pm. Dina is a mixed media artist and life long resident of RI. Her work combines hand printed papers, watercolors, pen & ink, and more, and is strongly influenced by her past study of children's book illustration at Rhode Island School of Design. Pop Up with GIRAFFE & ROBOTS! Pop Up with Jayson Salvi!